Janee’ Boswell is a Colorado native who grew up with a father in law enforcement. Janee was raised participating in 4H, and caring for livestock and various domestic pets. Janee’ successfully competed in various equine events, from roping to jumping, and now shares that passion for horses with her youngest son. The interest and knowledge for animals coupled with her respect and understanding of law enforcement launched Janee’s professional career. Beginning in animal welfare as a Large Animal/Livestock Veterinary intern, Janee’ then transitioned to emergency communications as a dispatcher for Jefferson County and obtained a Bachelor of Arts in Speech Communications. Combining her knowledge of law enforcement and passion for animals, Janee’ pursued a career in animal control enforcement. Janee has been in the Animal Control Profession for the past seventeen years, the last eleven as Supervisor. Janee’ is a State and Nationally certified animal control officer and has received extensive training in cruelty investigations, dangerous dog investigations, and techniques for interviews & interrogations. In 2010, Janee was hired by City of Boulder Police to supervise the newly created Animal Control Unit. 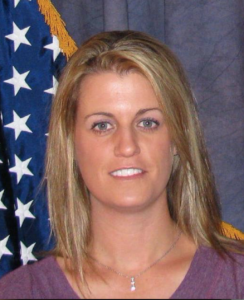 As supervisor, Janee’ is responsible for daily functions of the animal control unit, successful investigations of cruelty and neglect cases, and coordinating response and rescue services during significant events such as the Olde Stage Fire and the Northern Colorado Floods. Janee’ has served as the President of the Colorado Association of Animal Control Officers for the past eight years. She represents the organization, serving on legislative committees, conference training committees, served on the coalition of living safely with dogs as well as the Colorado Dog Protection Task Force, developing curriculum for police officers to handle encounters with dogs.